I don't know about you, but I prefer not to hear holiday music or see holiday decorations until after Thanksgiving. It's just too early! With that said, it's not too early to plan your holiday sales. If you haven't started telling your friends and fans about the gift items you offer, you should! Pretty soon it'll be Black Friday, Small Business Saturday and Cyber Monday! Now's the time to get people thinking about your art and who they should give it to! Spread Awareness about your best handmade gift items. 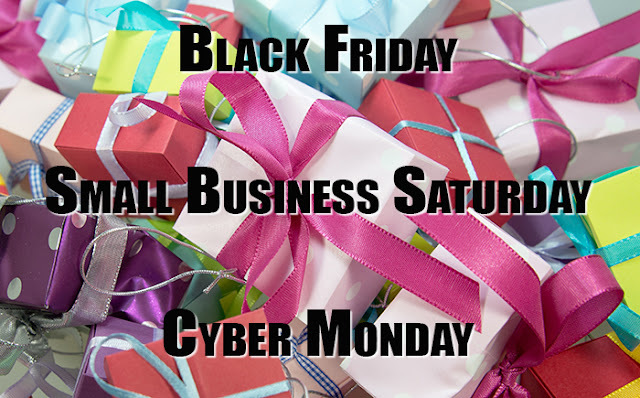 Drive shoppers to your website or holiday events to peruse. Help them see why your gifts are as special as the recipient. Entice them to buy now instead of waiting for other options. Start with what you have to offer and various gift giving ideas. At least a week before, share a teaser about any discounts or sales. Announce the kick off so people know to start buying. Remind people before the sale closes to act before it's too late. Thank your buyers for supporting you this holiday season. Buy One Get One - Free / Half Off / Etc. Don't discount your work too much so people still value it. Be sure you have the inventory ready to ship sooner after the sale. Make sure you aren't spammy in your promotional messaging. Emphasize the handmade, local qualities of your work. Branded, giftable packaging will save time and impress buyers. Start telling shoppers the deadlines for buying so they can plan.